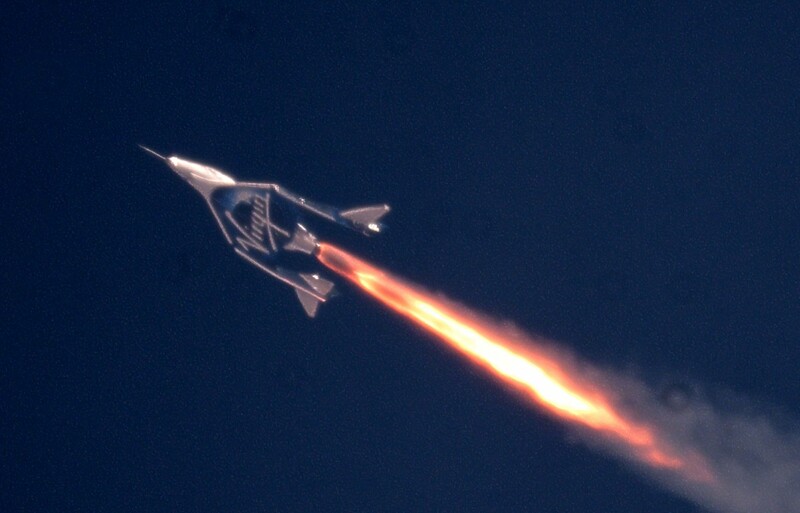 Virgin Galactic is celebrating the third successful supersonic test flight of VSS Unity, the passenger spacecraft it intends to make available for space tourism in the near future. This flight took the craft higher and faster than ever, stressing the system and providing useful data for the rocket plane’s engineers. Virgin’s two-part flight system uses a traditional jet-powered plane, the WhiteKnightTwo-class VMS Eve, to carry the spacecraft up to about 45,000 feet, after which the latter detaches and zooms ahead (and upward) on rocket power. Each of Unity’s flights has pushed its specs a bit further: The first one, in April, achieved Mach 1.6 and just over 84,000 feet of altitude. The second, in May, hit Mach 1.9 and reached 114,500 feet. Importantly, the rocket powering Unity’s flight burned this time for 42 seconds, well over the 30 seconds or so it’s been fired for until now. These tests necessarily have to advance degree by degree, but going from 30 to 42 is a big jump that the engineers are probably thrilled about. The team is working on analyzing the data from this flight, and of course inspecting and tweaking the spacecraft, and we can probably expect another test flight in the next few months.